SAN JUAN, Puerto Rico - The head of Puerto Rico’s power company said Sunday the agency will cancel its $300 million contract with Whitefish Energy Holdings amid increased scrutiny of the tiny Montana company’s role in restoring the island’s power system following Hurricane Maria. 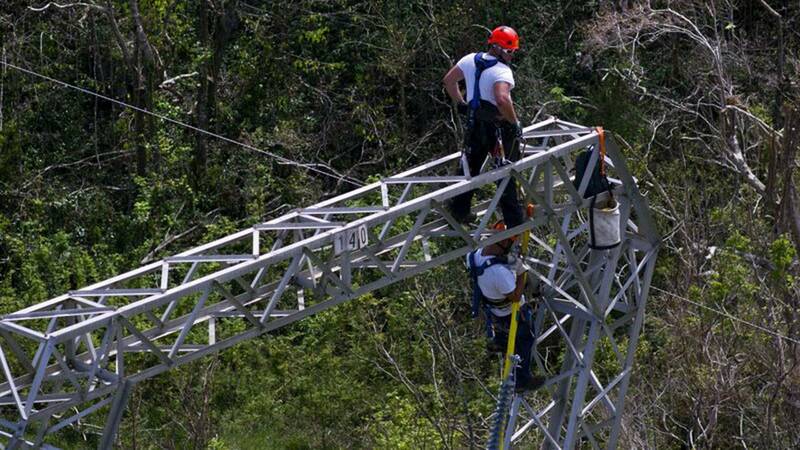 The current work by Whitefish brigades will not be affected by the cancellation, and that work will be completed in November, Ramos said, adding that the cancellation will delay work by a couple of months while the government finds new companies to help restore power to the island. The cancellation is not official until approved by the company board. Ramos said it would take effect 30 days after that. Ramos said that cancellation of the contract will not lead to a penalty, but it’s likely the government will pay at least $11 million for the company to go home early, including all costs incurred a month after the cancellation. Federal investigators have been trying to investigate the contract awarded to the small company from Interior Secretary Ryan Zinke’s hometown and the deal is being audited at the local and federal level. Ramos said the company contacted Puerto Rico’s Electric Power Authority two days before the storm hit, at a time when it was becoming clear the hurricane could cause massive damage. He said Sunday he hadn’t consulted with anyone else about signing the deal and didn’t notify the governor’s office for a week. He again praised the company’s work. “They’re doing an excellent job,” he said.